Uses:- Used for packing Cashew Nuts, Spices etc. 10 kg capacity square Tin Container (Plain & Printed) suitable for 53 mm Spout, Numen cap Sealing Cap with Plastic Handle or Wire Handle. We are engaged in offering a wide range of Tin Cans. Catering to the demands of our clients we offer Rectangular and Square Tin Containers for all kinds of purposes. We are instrumental in offering the best grade of Printed Square Tin. Being a quality focused name, the quality of these products is never compromised. - 1kg, 15kg, 18kg etc. With the valuable assistance of skilled team of professionals, we are engaged in offering an extensive range of high-quality Flat Square Tin Box. 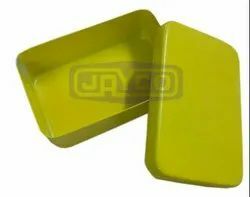 Matching up with the requirements of our clients, we are involved in offering Square Tin Container. 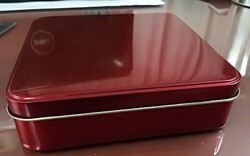 We are successfully meeting the requirements of our clients by offering the best quality range of Square Tin Boxes.